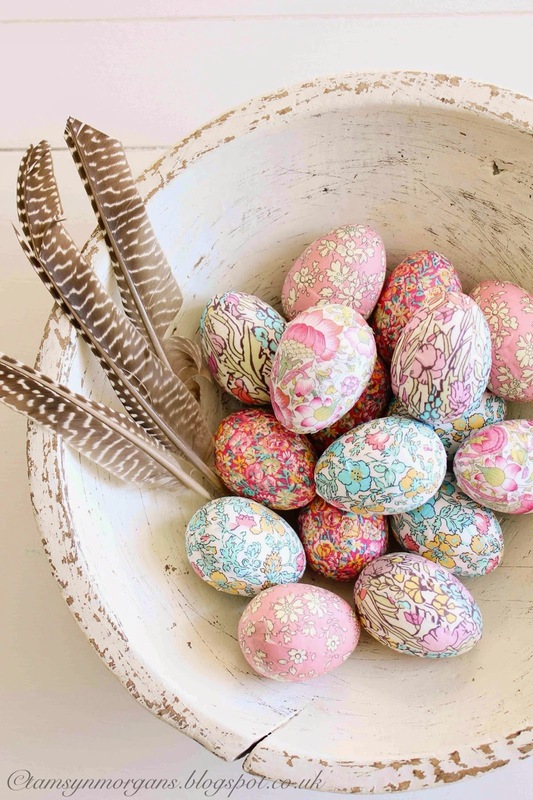 I’ve had fun over the last few weeks making these pretty Liberty print eggs. 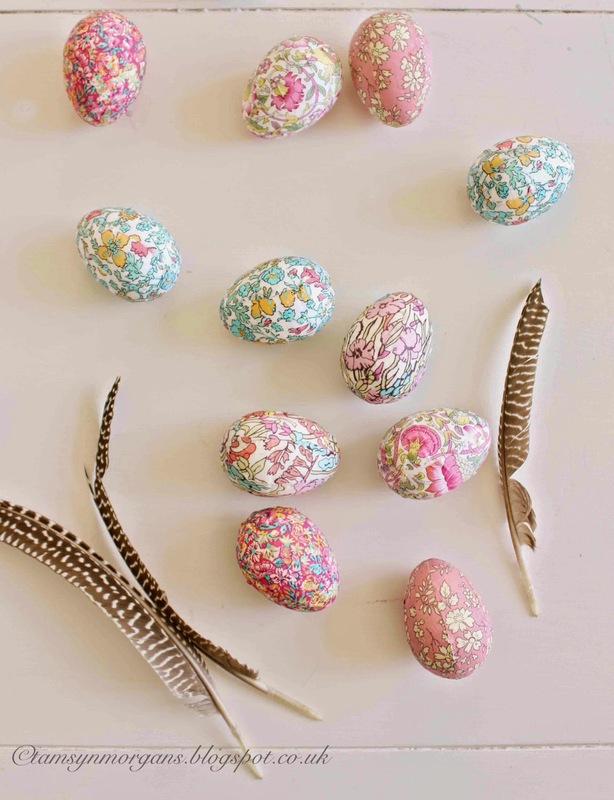 I found the polystyrene eggs at good old Poundland, and thought I’d make Easter decorations, taking inspiration from my Liberty Christmas decorations I made for my Crafting The Seasons post (which you can see here). 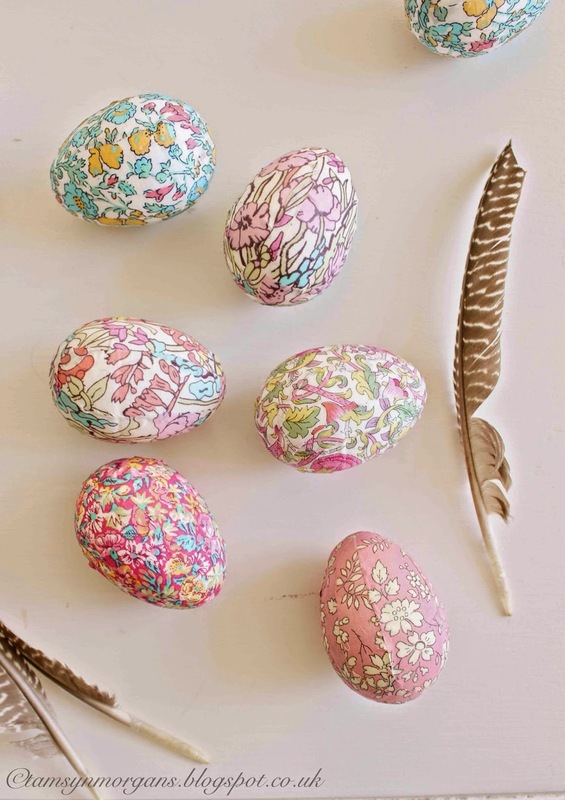 They’re so easy to make by generously brushing PVA on your egg, and glueing snippets of fabric on. I had intended to attach wire hoops and ribbon to the top of the eggs, but time has run away with me! Maybe next year! 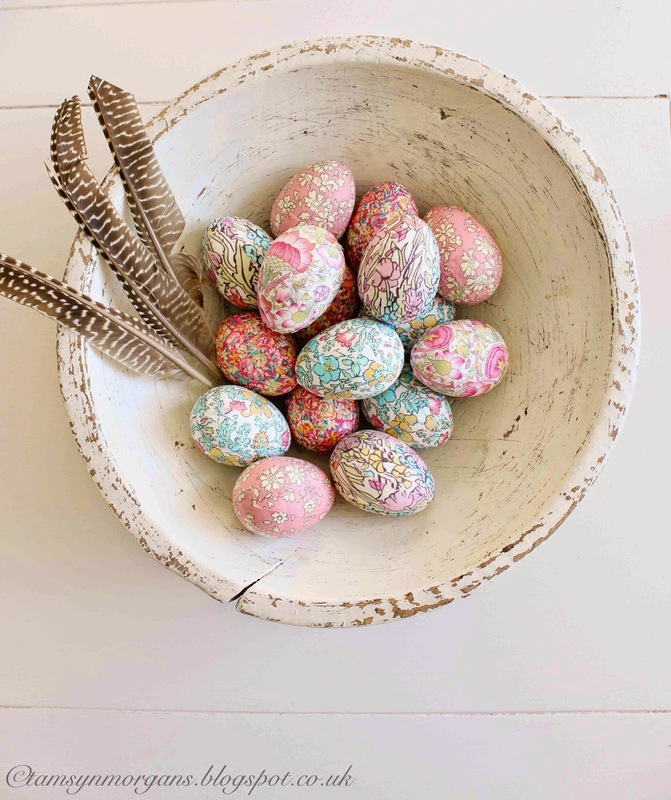 For now I enjoy their simplicity in this rustic bowl. You can see Liberty’s range of gorgeous range of haberdashery fabrics here. The children and I are spending Easter at my parents in East Sussex, so we are looking forward to a few days of family time. My brother Ross, who lives in Leeds, is also joining us – we are planning an Easter Egg hunt, lots of good food and laughter! I hope you all have a really lovely Easter weekend!